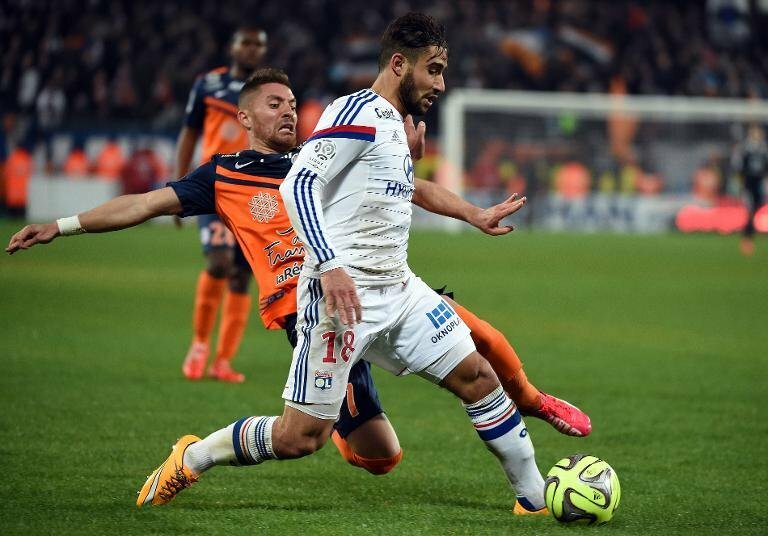 Home › opinion › Nabil Fékir : Don’t Forget This Name ! 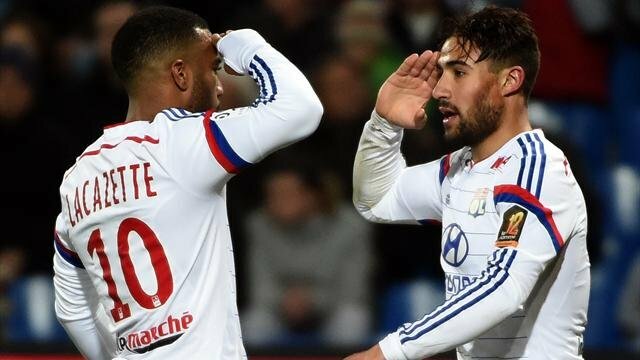 Last Sunday, Olympique Lyonnais moved back above Paris st Germain, to the top of the Ligue 1 Table, after a dazzling game of Lyon’s Academy home-grown youngsters and especially Nabil Fékir, MOTM, scoring twice and obtaining a penalty, transformed by the other “enfant terrible” of Les Gones, Alexandre Lacazette. There are many applauds, about Lacazette’s performance( 23 goals in L1, third in Europe, just behind Ronaldo and Messi), but the two-year younger French-Algerian’s merit is worth a look. Fékir is 21(7/18/1993); he’s not a big player(1.73m / 5 ff 8 in) but that didn’t stop his career as an attacking midfielder and goalscorer, eleven nettings this season. The youngster, had a rocky start; he was recruited by Lyon’s scouts, from his home-town club of FC Vault-en-Velin, but after two years and a serious knee injury, he was dismissed and returned back to his old club, where he joined his three brothers and father, which was one of the club’s officials. Three years later, he joined Saint Priest and after a good season, he was recruited again, by Lyon. 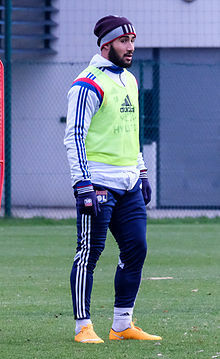 Since then, the player became a vital member of Lyon’s first team and declared openly his Gone’s allegiance to the club, by refusing to sign a lucrative contract with Lyon’s long-time enemy, St Etienne. Nevertheless, this close family knot, had this week, some heavy set-backs. The Algeria-born father wanted his son to play with the Algerian team, so when Manager Christian Gourcuff, sent an invitation to join the team for a friendly against Quatar, in the end of the month, it was accepted by Fékir Saturday morning, but he annulled it, on Sunday afternoon. What happened? The French-Algerian player,has the double nationality, so he can choose either country ; “Nabil called Algeria’s national team Manager Gourcuff, to inform him of his decision to play for his father’s native country, said Mohamed Raouraoua, president of the Algerian Football Federation( FAF). The next day, just after Lyon’s victory vs Montpellier-Herault (5-1) Bernard Lacombe, an advisor of president Jean-Michel Aulas announced that the player had changed his mind and chosen France. 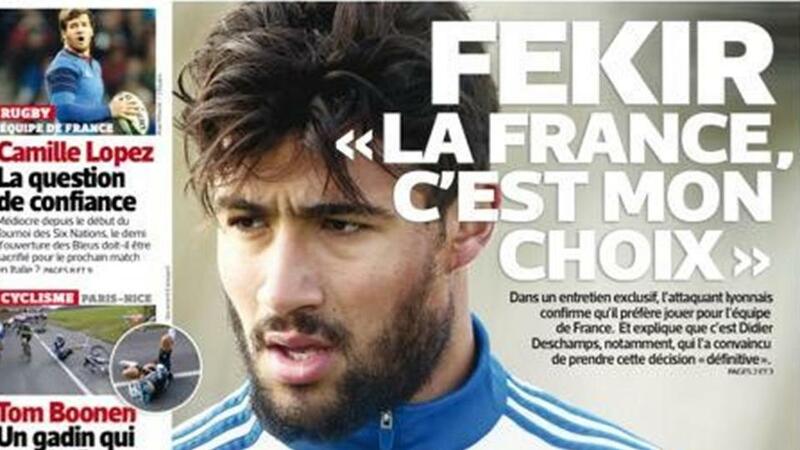 Fékir confirmed this choice, two days later in an interview to french newspaper, L’Equipe. He also admitted that his decision to call Gourcuff was a “mistake” and that he was under pressure at that time. (to play for Algeria).He also said that France’s Manager, Didier Deschamps,helped him to take his final decision. Surely, the 2016 European Cup in France, was a good argument, much more than some obscure friendlies in Africa with the Algerian team. Anyhow, this isn’t the end of the story; rules dictate that a player with dual-citizenship, can switch national teams, until their first official game. France’s next official game will be for the start of the European Championships in June 2016; so Fékir will have lots of time to reconsider this decision, even if he insists that he won’t change his mind. Fourth scorer, (with 11), second in assists(7) and he’s already in possess of qualities, such as game-maker, goal-scorer, dribbler, having a wonderful left foot and last, but not least, an impressive self-control. Isn’t that enough? Also, let’s not forget his young age, he will surely be much better in two or three years time. Here’s some highlights, see what I mean ? 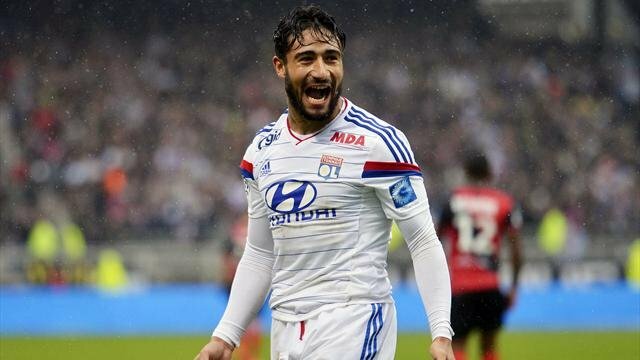 Nabil Fékir: Don’t Forget This Name ! ‹ MESSI : He’s Done It Again !